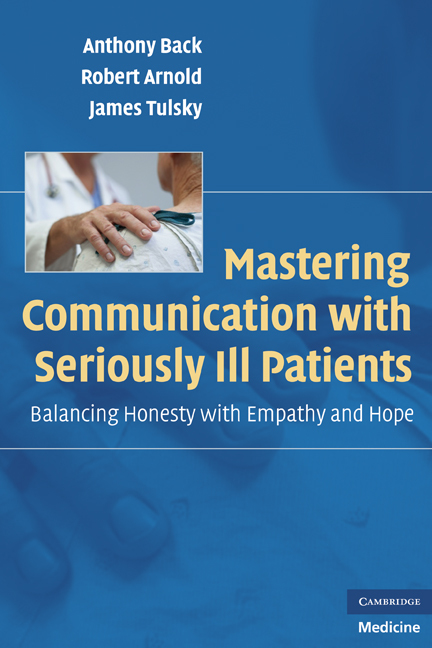 Anthony Back, MD, is co-author of Mastering Communication with Seriously Ill Patients: Balancing Honesty with Empathy and Hope (2009). He is Professor of Medicine at the University of Washington, Seattle, Washington. He is also Director of the Program in Cancer Communication at the Seattle Cancer Care Alliance and Fred Hutchinson Cancer Research Center, Seattle, Washington.